It allows to adjust the adjuster on the bottom of the front fork without using a tool. Just pinch and turn. It relieves the stress job "turning and adjusting with a flat tip screwdriver". Click feeling allows easy adjustment of front fork suspension bottom adjuster. Easy to install, just replaced OEM bottom adjuster bolt to our kit. CNC machined from high grade aluminum for extreme durability. 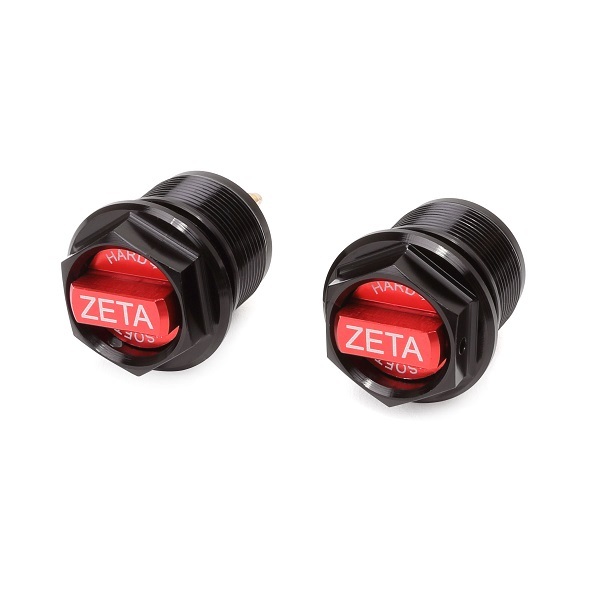 Black anodized body and red anodized adjuster knob.